At 17582 feet, Khardung La located in the Ladakh region of the Indian state of Jammu & Kashmir, is one of the highest motorable mountain passes in the world. Driving at such heights is a thrilling experience in itself. Now imagine driving an F1 car through these high Himalayan roads. That is exactly what Red Bull Racing did a few days ago. As a prelude to the Indian Grand Prix, RBR took their F1 car out for a run through Khardung La. With the success they have had this season, it looks like RBR has ample time to try out new things without worrying too much about the constructors title, which they are fully confident of securing. In any case, here is the uncut video of RBR RB7 through Khardung La. 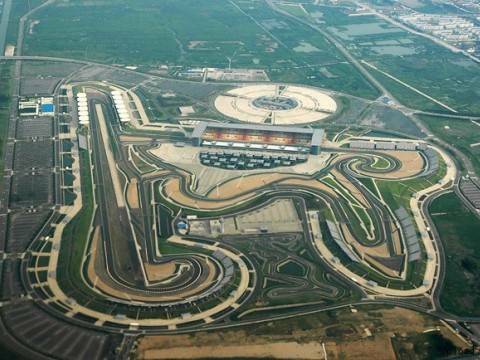 On 30th October 2011, India shall witness its first ever F1 grand prix. In a country which is currently the second fastest growing automobile market and the seventh largest producer of automobiles globally, this is indeed an important event. Sadly though, motorsports in India has failed to expand at the same rate as the automotive industry and has remained a niche. The Indian Grand Prix would surely serve as a big boost to motorsports in India and put India on the global motorsports map. Time to get the Wheels rolling once again! Hello folks! Its been more than an year since I last updated this blog. Things have changed a during this past year. I graduated from college in June of 2010. After graduation, I started working with Michelin and I have learnt a lot about tyres since then. I also moved to United States in September last year and would probably return to India in May/June 2012. Meanwhile, the blog has continued to receive some readers along with a few comments. I have been planning to kick start this blog again for a while now, but somehow I could never find the time to do so. Then a few weeks ago, I broke my left leg and become immobilised temporarily. This gave me an opportunity to revisit this blog and get it started again. This time though, I sincerely plan to keep it moving and not become dormant like it has in the past. After Porsche’s successful foray into sports SUVs (Cayenne) and sports sedans (Panamera), the company recently unveiled its new offering for the Russian market. Designed for off road usage and usage on snow, the car would soon be launched in other countries. With this new product, Porsche has once again adhered to its commitment of sporty offerings across all vehicle segments. To complement the launch of this new car, Porsche has introduced a whole range of sporty merchandise based on the car. When you talk of Lexus you talk about high levels of luxury, refinement, reliability and customer service. Ever since the Lexus brand was introduced in 1989, it was because of these virtues that Lexus was able to challenge the dominance of traditional luxury brands such as Mercedes-Benz, BMW, Audi and Jaguar and very soon, it had established itself as one of the largest selling luxury car maker. However, unlike the aforementioned marques, sportiveness and high performance are some characteristics that Lexus cars were never really associated with. While BMW has the M division, Mercedes has AMG, Audi has the S/RS models and Jaguar is sporty in itself, Lexus never had anything of such sorts. Not any more, now there is Lexus F.
The Lexus F marque is a high-performance division of cars produced by Lexus. Why F? F stands for Flagship. It also refers to the Fuji Speedway, the site where Lexus performance vehicles are developed in Oyama, Shizuoka Prefecture, Japan. The F logo is in fact inspired by the 27R, the first corner of the Fuji Speedway circuit. The F marque made its first appearance at the North American International Auto Show in January 2007, with the Lexus IS F. The IS F (pictured below) is a high performance version of the Lexus IS series of luxury cars. It features a larger, more powerful engine than standard IS models, improved suspension and brakes, body design enhancements, and other vehicle changes. The car had been designed by a separate skunk works team in a manner distinct from typical Lexus engineering practices. The second car to wear the Lexus F batch is the Lexus LFA. The car first appeared in 2005 as the LF-A concept, followed by a second LF-A in 2007 (alongside the IS F at the North American International Auto Show) and a third roadster concept in 2008. The production model, rechritened as the LFA, was finally unveiled at the Tokyo Motor Show in October 2009 and wore a Lexus F batch. This car is Lexus’s first foray into the domain of supercars. Lexus has built the LFA as a halo vehicle, a racing prototype and as a technology demostrator. The car features a new V10 engine and a carbon fiber-reinforced polymer (CFRP) body. CFRP materials account for 65 percent of the LFA’s body composition by mass. The LFA is scheduled to go into production in late 2010, with a projected run of 500 vehicles followed by a circuit tuned variant in 2012. With an estimated price tag of $350,000 – $375,000 USD, the car is meant to compete with the likes of Lamborghini Gallardo, Ferrari 458 and the Porsche 911 Turbo and GT models. Pictured below is the production model of the LFA. 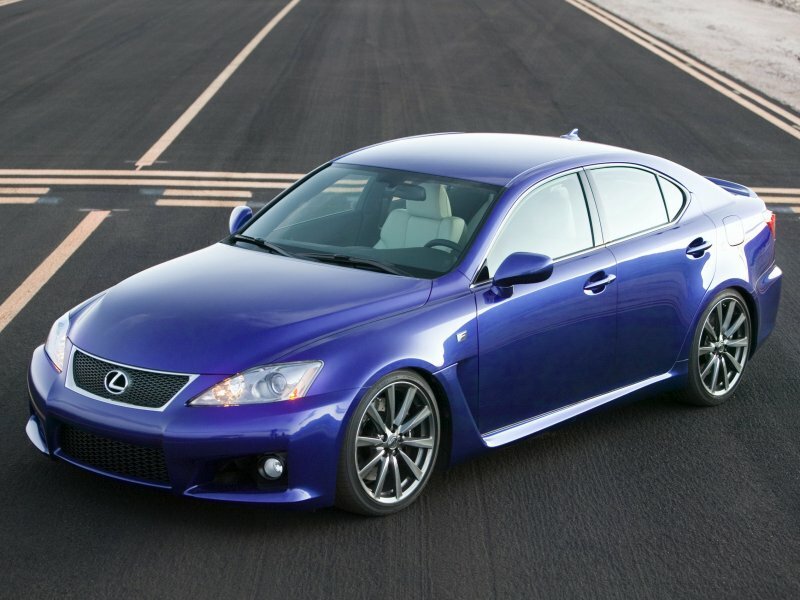 More cars from the Lexus F stable are expected in the future, starting with the GS F in 2011-12. Lexus has also created an F-Sport line up of performance parts and kits for its cars. Initially offered for the IS 250 and IS 350 sedans, the line was expanded to the two-door IS C models, along with the entire GS line in 2009. Looking at all this, it must be said that Lexus is trying hard to reinvent its image from just being a luxury car maker to a manufacturer of high performance and luxury vehicles. Through the F marque, Lexus hopes to make its cars more appealing and more exciting to drive. How much impact will the marque have on the Lexus brand remains to be seen. Even with the F marque, there is something which Lexus still lacks, which its European rivals don’t. Brands such as Audi, Mercedes, BMW and Jaguar have a long history associated with them and a rich racing heritage. While Lexus has had a small success in motorsports (Super GT and Rolex Sports Car Championhip), its European rivals have won all major trophies and championships and continue to be active and strong contenders in various forms of motor racing. But if Lexus has successfully fought them in the past, then surely it could do it once again. It has been a few years since I last updated this blog. However, in spite of the inactivity, Wheels has continued to receive a lot of visitors and comments, because of which, I have often considered about kick starting the blog again. Now the time has finally come. Wheels is back would once again deliver exciting news and views from the world of automobiles and motorsports. So gear up for some interesting read and keep supporting Wheels. With Kimi Raikkonen and Felipe Massa finishing first and second in French Grand-Prix at Magny-Cours, Ferrari is now firmly back in the title hunt for the constructors championship. Sadly, I couldn’t watch the race yesterday. McLaren’s new star, Lewis Hamilton, finished third about half a minute behind the Ferraris. The scarlet cars opted for a two stop strategy whereas the McLaren’s chose 3 stops. Initially, Massa led the race but after losing first place during his second pit stop, he wasn’t able to overtake his team mate who had been out for a little longer thanks to the heavier fuel load. Further back Robert Kubica and Nick Heidfeld grabbed another nine points for BMW Sauber with fourth and fifth places, the latter having some gripping duels with McLaren’s Fernando Alonso. The world champion, who started tenth after his qualifying woes, was out of luck, finishing seventh (after a long second stop) behind Giancarlo Fisichella’s hard-driven Renault, so his two points leave him now 14 adrift of Hamilton, who moved up to 64. Massa’s second place leaves him third in the world championship on 47, but Raikkonen jumps closer with 42. The final point went to Jenson Button and Honda, who turned in a solid performance that confirmed that the RA107 has improved. It was the first point of the season for both. Silverstone marks the midpoint of the world championship, and McLaren currently have 114 points, Ferrari 89. Everything is still out there to play for and being a Tifosi, I support the Ferraris. Check out- F1.COM for more.